Our group also created an app that was much like the website. 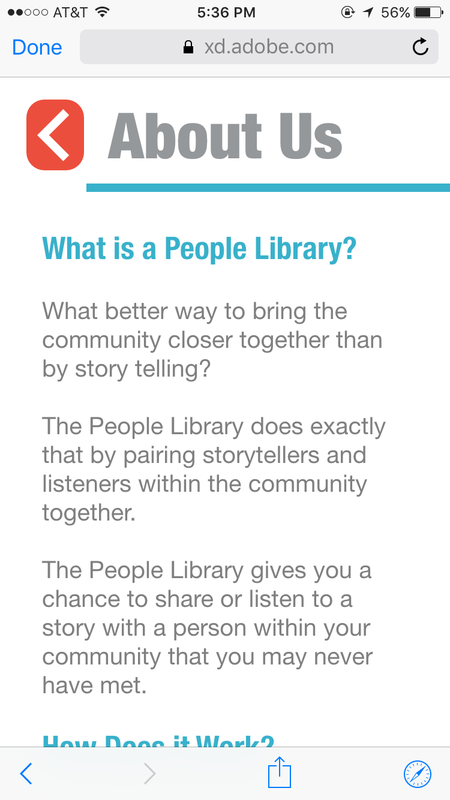 We tried our best to keep the style of the website and app similar so the People Library could create a recognizable brand and image. The app has the same functions as the website; its purpose is to inform the users of what the People Library is as well as serve as a platform to sign up to tell or listen to a story.